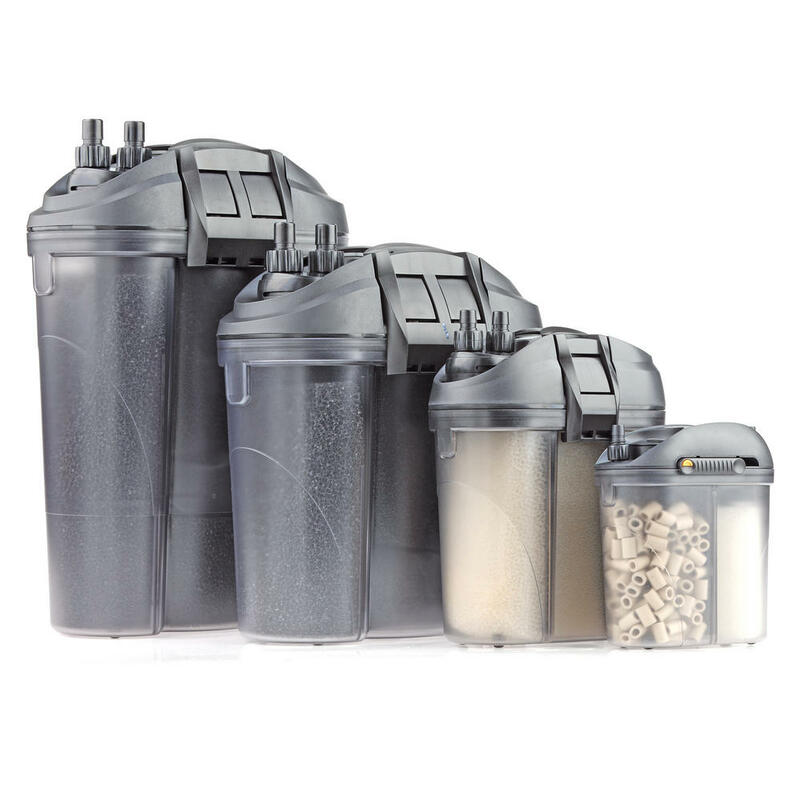 The Eden External Filter range comes with the benefits of being a safe, compact and small-sized filter unit which performs to highest professional standard of water filtration with almost silent operation. 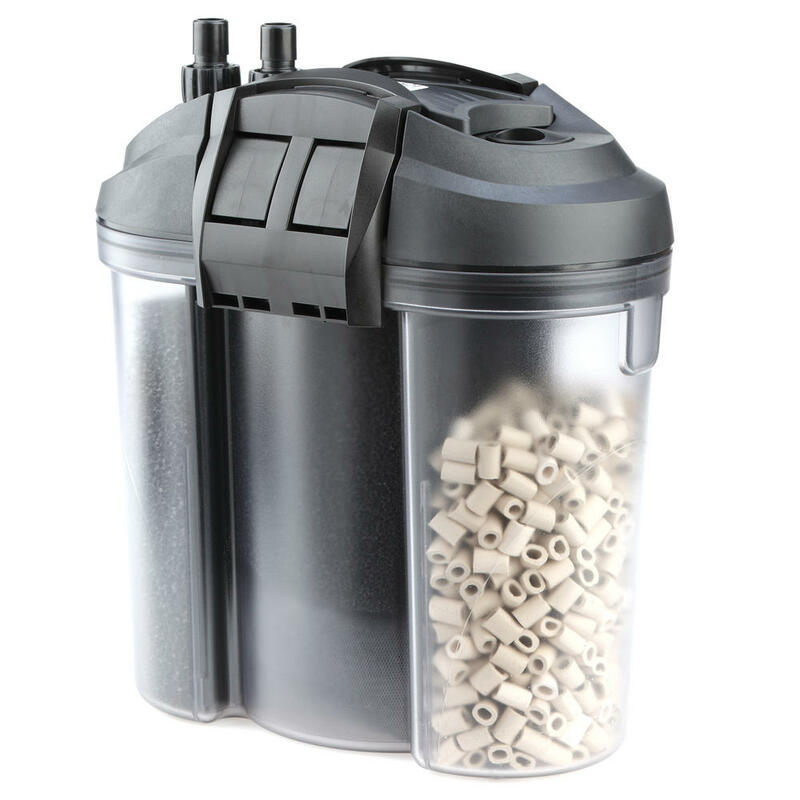 The motor is completely sealed and thermal-protected ensuring reliability and lower power consumption. 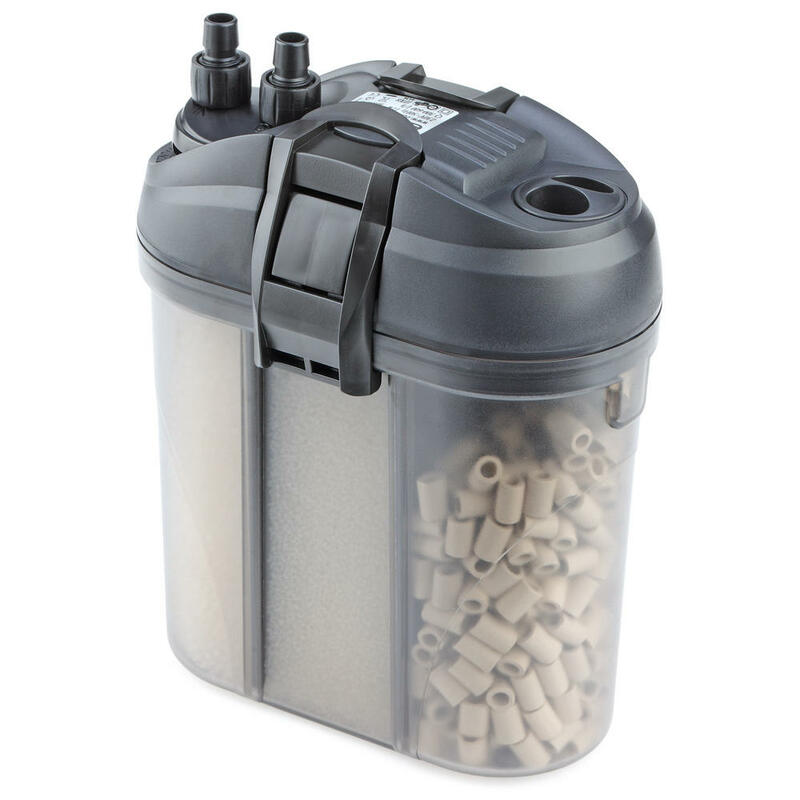 Water is pumped though the internal multi-chamber filtering system including its very effective biological stage, resulting in crystal clear water returning to the tank. 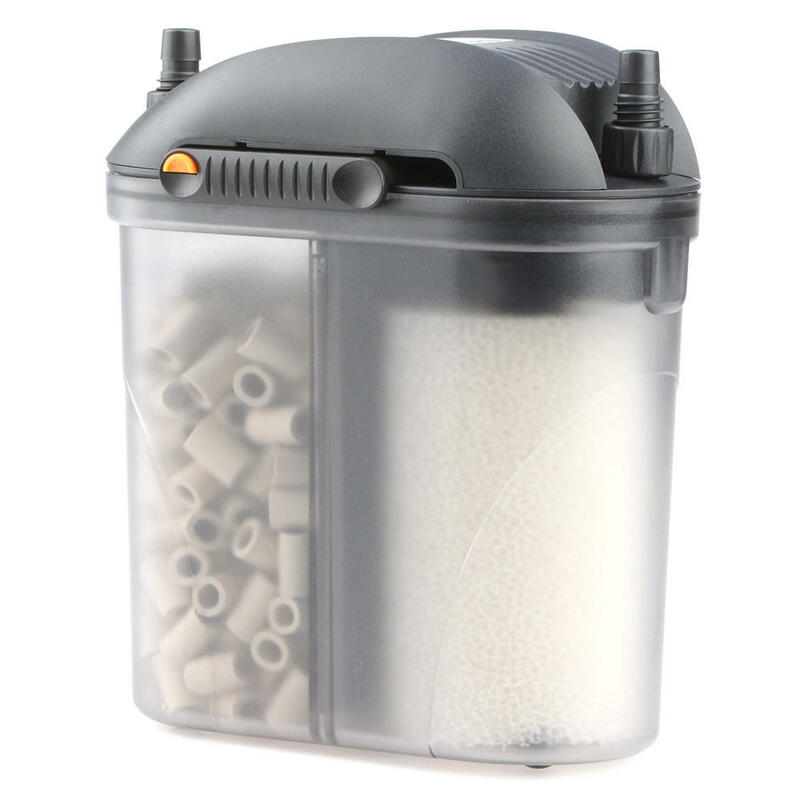 The Eden External Filter range is a professional canister filter, suitable for both fresh and salt water tanks. Supplied with complete intake systems, hoses and connecting elbows with a spray bar, which provides for a better oxygen exchange at the water surface or with a flow deflector to adjust water direction. The original design and small size make the placing beside or behind a tank very easy and safe, particularly suited to fit reduced spaces. 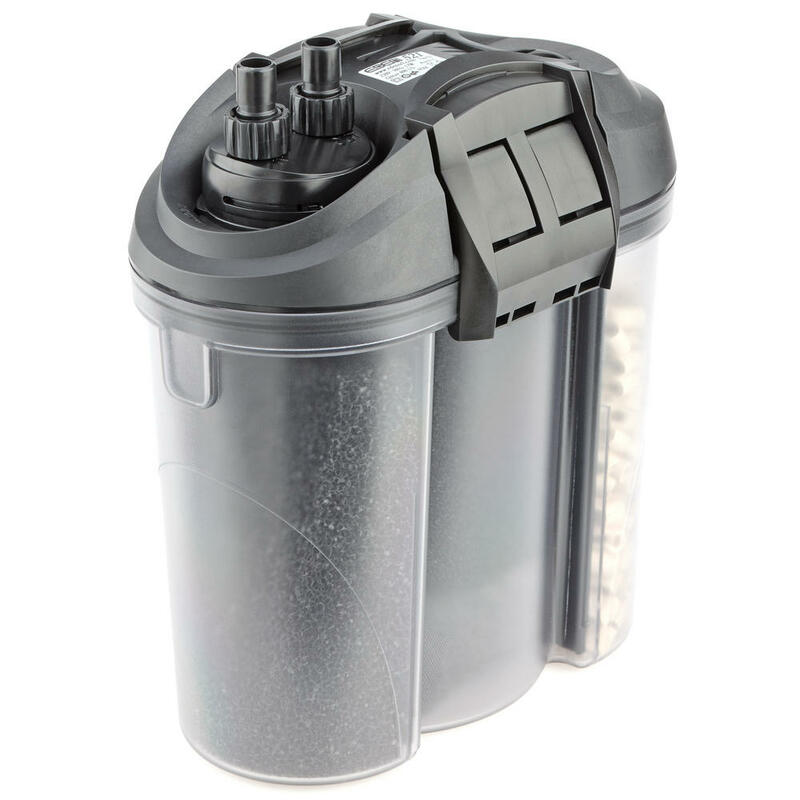 Self-priming start up by means of the cap used to fill the chamber, the easy open filter head opening reduces the risk of pouring water on the floor and the childproof lock make these external filters more reliable than any other. 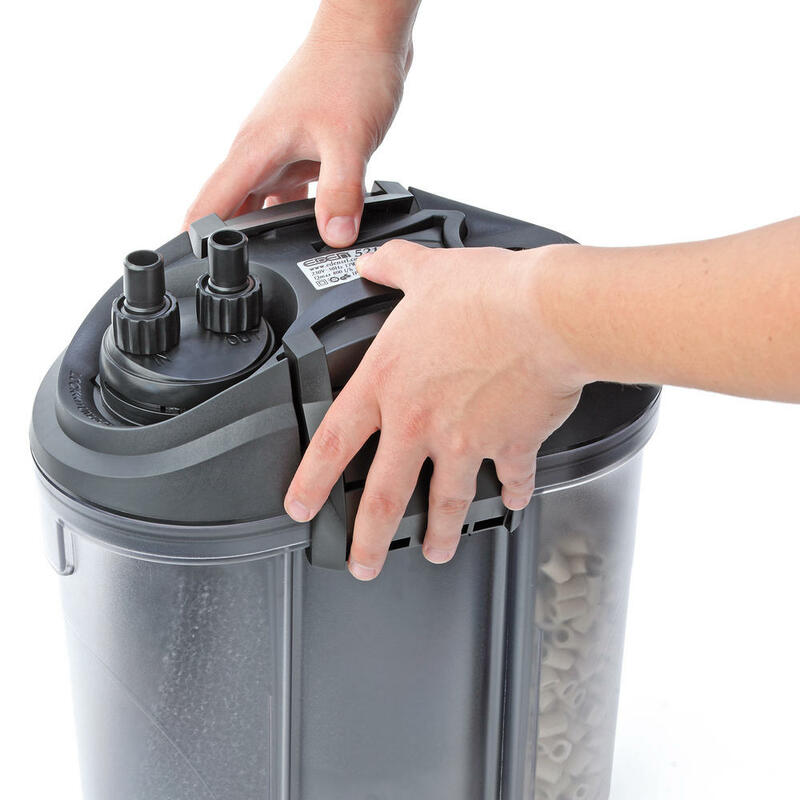 Vibration is at a minimum due to the four rubber feet at the bottom of the filter container which also offer major stability and quietness; avoiding direct contact with surfaces on which they are placed.